Habitat for Humanity’s Lower North Island’s most recent A Brush with Kindness project is underway in Naenae, Lower Hutt. Homeowner Evelyn is delighted to know that various repairs that she has been worrying about for some time are finally being taken care of. 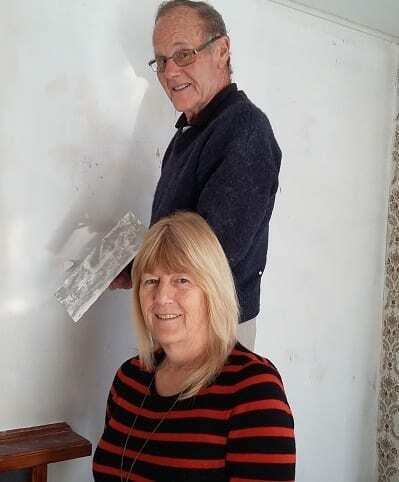 While Evelyn has been able to tackle some interior DIY in the past, her hip and shoulder problems mean she can no longer do as much as she used to. Work at the house will include removing an old header tank and fixing a hole in the kitchen ceiling, fitting insulation to some exterior walls, resolving window gaps, fixing a section of fence and guttering, stripping wallpaper, sanding and painting inside. Evelyn comes from one of the first original families to settle in Taita, with Pilcher Crescent having been named after her family. She has lived in Taita and Naenae all her life and is looking forward to feeling much warmer and cosier once the work is finished so that she can continue to enjoy her home for many more years to come.